Interactive collaboration technology is making a huge difference to our operations. We can visualise the production data coming in, annotate the information on the screen, collaborate in the room within a multi-disciplinary team and share data remotely in real-time with our colleagues in other offices. 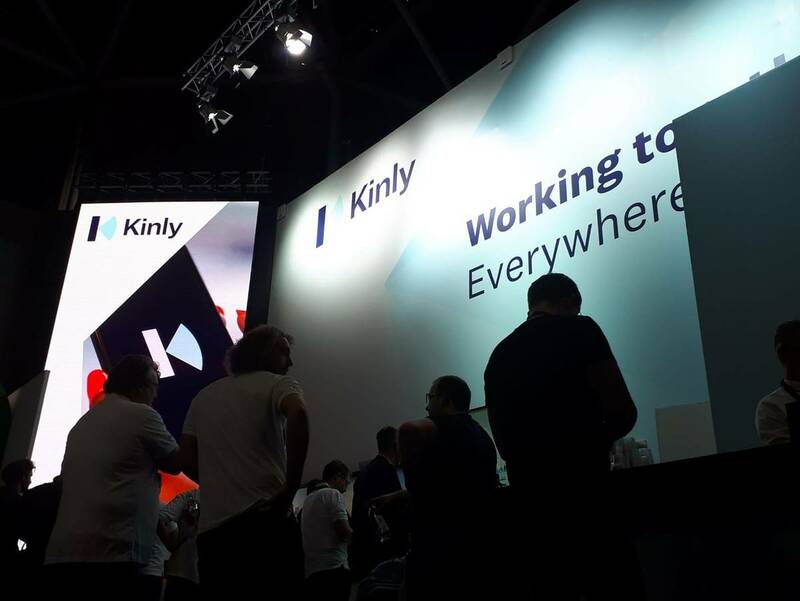 Kinly launches on 6th February 2018 on the opening day of ISE 2018. Headquartered in Amsterdam, the Netherlands, the combined company today serves corporate and public customers in over 120 countries from established office locations throughout EMEA, the USA and APAC. We have a holistic approach to people, process and technology – where user behaviour, ease of use and reliability are forefront in our decision making. We believe that business transformation can be achieved when visual communications and collaboration is integrated effectively into the business workflow. 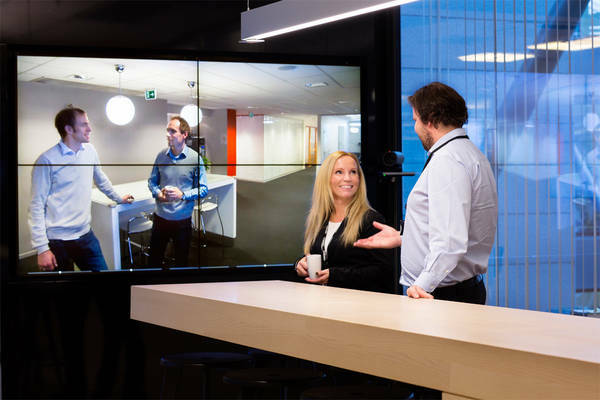 Viju is a global visual communications and collaboration specialist who is setting the standard for video conferencing, telepresence, audio visual integration and collaboration & visualisation solutions. Our aim is to transform the workplace with visual communications and collaboration. Our mission is to make people better together. We dare to be visionary in solving everyday challenges and developing new approaches to business. 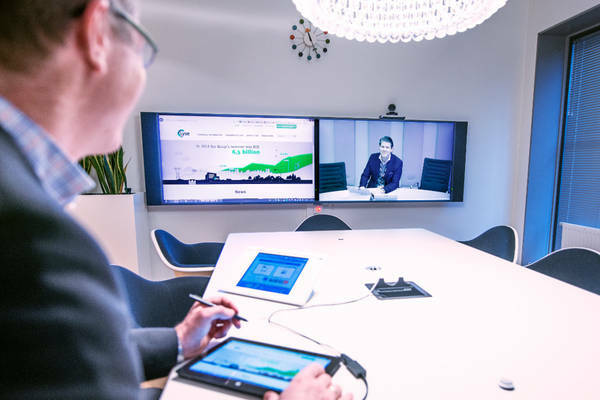 As a leading integrator of enterprise on-premise video conferencing systems and cloud-based services, we’re here to help you define the best video collaboration strategy for your organisation. 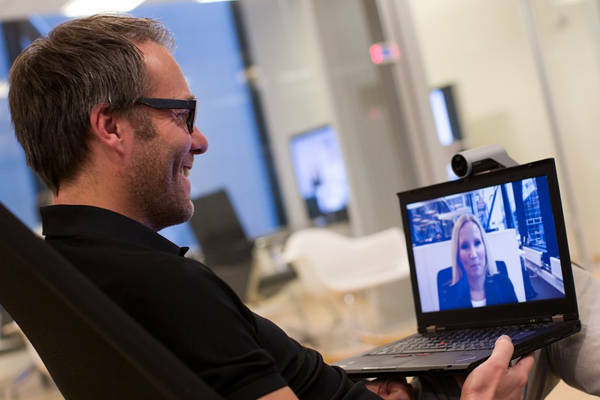 Our connected approach, experience and solid strategy for delivering video conferencing solutions has produced great results for many global enterprises. Until now, interoperability in the business environment has been complicated and challenging. Now is the time to cut through the complexity and visually collaborate in the cloud. And, connecting vendors, platforms, standards and devices is now possible with VijuCloud. VijuCloud extends the benefits of video communication across your organisation and beyond, and can transform the way organisations utilise video communications. Microsoft Surface Hub is a powerful team collaboration device designed around a highly responsive screen built for ink and touch, allowing users to share and interact with content effortlessly. The interactive display harnesses the power of Windows 10, Skype for Business, Office, OneNote and Universal Windows apps to deliver a new kind of productivity experience optimised for groups.